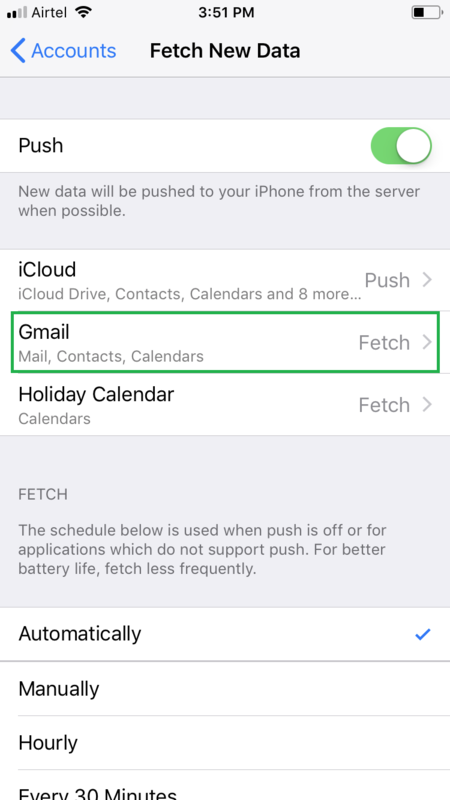 Enabled by default, the Push function automatically refreshes your configured email account on the Mail app, and fetches any new data that the email server has. 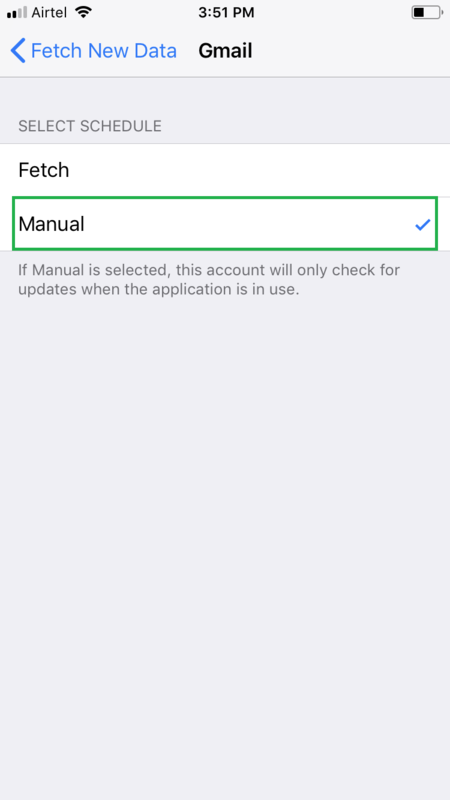 Although the feature saves a lot of users’ time and eliminates the need of checking for the new data manually, the process involved consumes additional amount of Internet bandwidth and battery of your iPhone. Therefore, in order to increase the battery life and avoid Internet wastage, sometime users prefer disabling the Push function, especially when they are on a move and have limited Internet data pack. 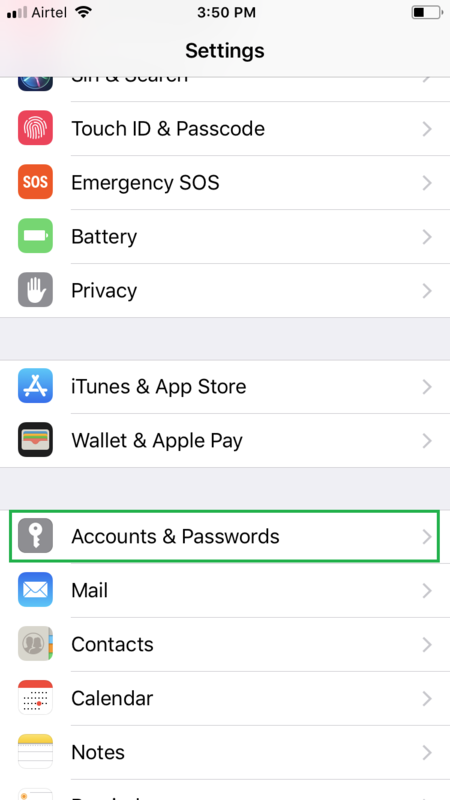 Go to Settings > Accounts & Passwords. 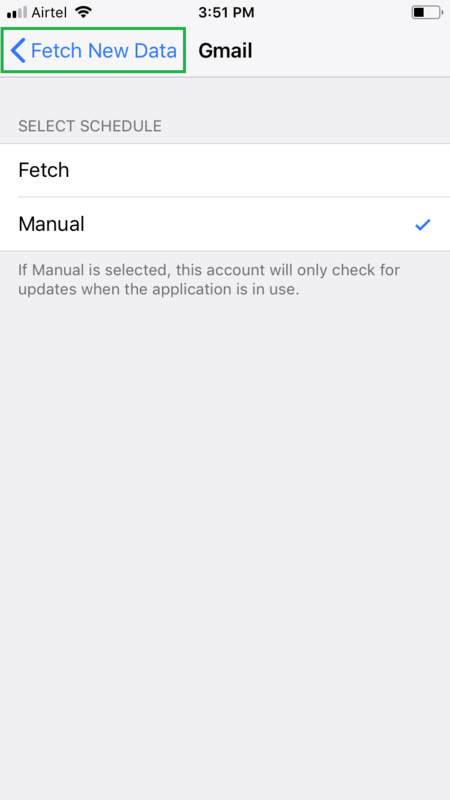 This opens the Accounts & Passwords window that lets you manage your iCloud and associated email account settings. 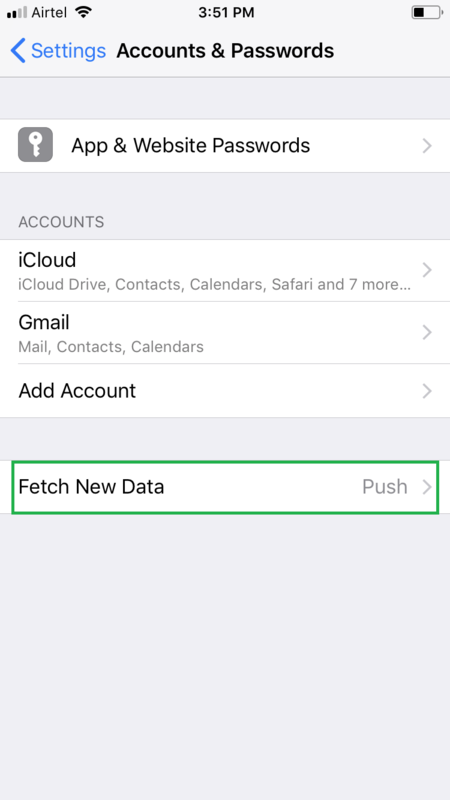 Tap Fetch New Data. 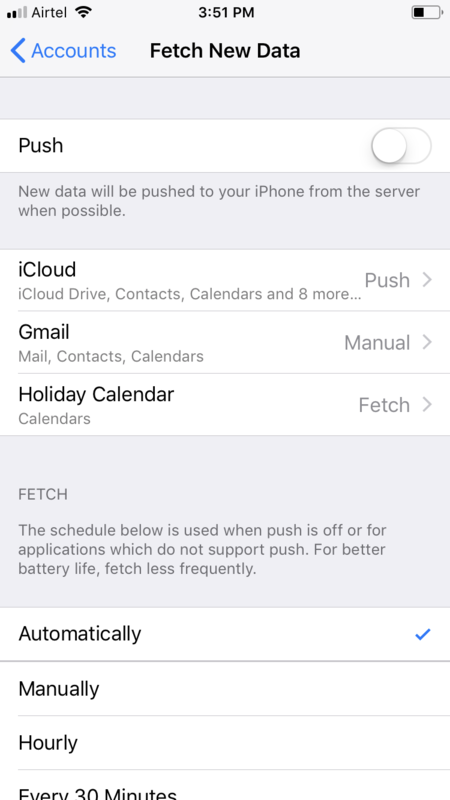 This opens the Fetch New Data window that lets you configure how the new data is fetched from the server to your iPhone. Tap your email service provider’s name (Gmail for this demonstration), and tap Manual. 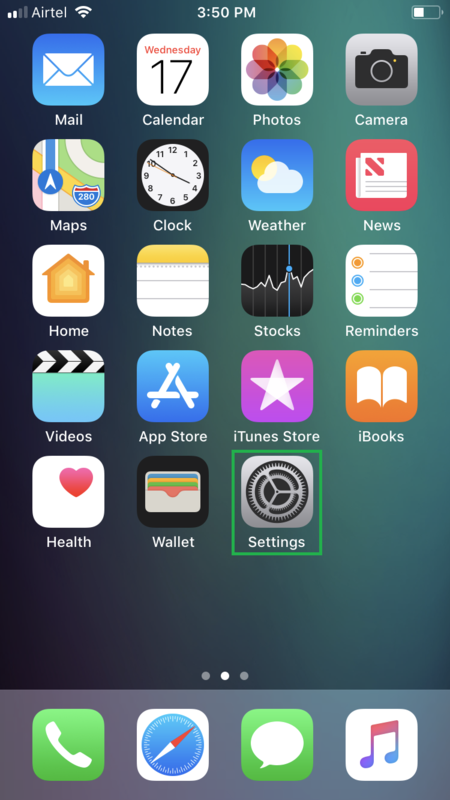 This keeps your iPhone from automatically fetching the new data from the server, thus increasing your phone’s battery life and reducing Internet bandwidth consumption. Tap < Fetch New Data from the top-left corner. This takes you back to the Fetch New Data window. Tap the Push toggle button from the top. This completely disables the Push feature on your iPhone. 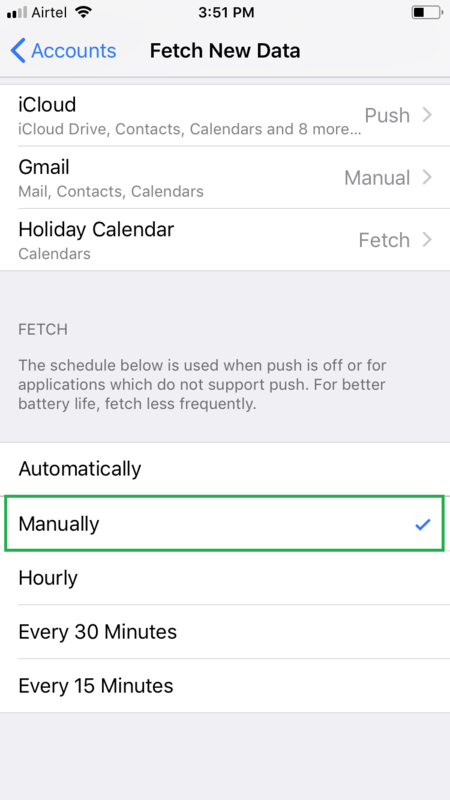 Keeping the Push toggle button enabled, choose your preferred refresh interval (Manually for this demonstration) from under the FETCH section. 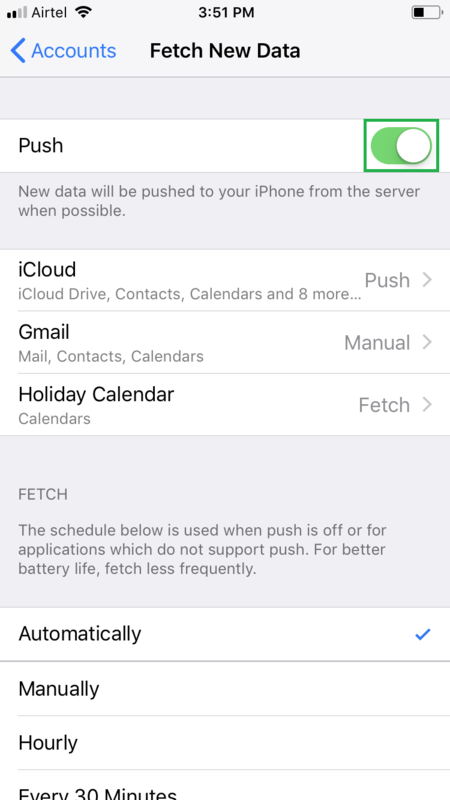 This configures your iPhone to fetch any new data from the server at your specified time intervals, thus increasing your phone’s performance and decreasing Internet consumption.